The idiom “off to a flying start” is defined as “a start or beginning of anything, as characterized by the participant’s vigor and enthusiasm” (Dictionary.com). To be off to a flying start is often considered as an advantage, for example: “She was off to a flying start due to graduating at the top of her class.” Some advantages, however, are short-lived if initial enthusiasm is greater than the capacity for true insight that has not yet been achieved. The idiom becomes relevant when I see situations in which selection criteria for leaders in the contact center lack the requirements of actual experience in running one! Instead, the director or manager role is a rung on the ladder or a link in the chain of leadership experiences necessary to move through the enterprise… as if on a rapidly moving sidewalk. When those without a real understanding of what it takes to run a contact center make leadership selections, they may be basing decisions on the wrong criteria. Too often, enthusiasm wins over expertise. Just because someone is excited about an opportunity, or it is the “right” time for them to take on this role level, does not make them qualified for the position. However, if those in the hiring role do not understand the contact center, it is easy to make a wrong and uneducated selection. Many complex contact centers are overseen by folks that may be rich in enthusiasm but poor in expertise, lacking in the “saving grace” of discipline. Discipline is the requisite for effectively running an operation that has about as many moving parts as an Amazon.com warehouse! Discipline is defined as “a system of rules of conduct or method of practice” (Definitions.net). Those who enjoy the “flying start” rely on enthusiasm… an emotion of interest, eagerness and passion. Feelings are fine but often fragile, while discipline involves a reliable and planned methodology. Keep in mind that the contact center is really two businesses in one. It is the contact center business and the business you just happen to be in: healthcare, fashion, travel, finance, etc. Well, you get the picture. Sadly, many elevated to a contact center leadership role, be it supervisor, manager or director, underestimate the job of managing in a demand environment; they create chaos rather than calm. Chaos in the contact center occurs when leaders take on the operation with great enthusiasm but little expertise. 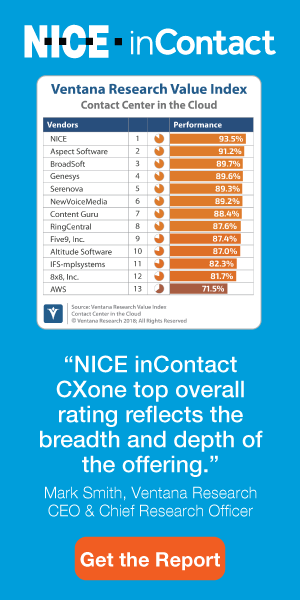 (Expertise is where a disciplined approach emerges from when it comes to contact centers.) They may have extensive knowledge of the products and services offered by the company, but not the skills required to create and maintain a foundationally sound operation. If the contact center is not sound, it is likely that leadership will spend its time “making a science about what to do with people on hold” rather than developing staff, analyzing processes, optimizing technology, and focusing on customer experience and quality improvements. This is more than simply getting the calls out of queue! Chaos ensues and slows things down… a very frustrating reality. Many contact center initiatives are positively impacted when they are led by an enthusiastic beginner that can get whatever the effort off to a “flying start.” These folks are often very persuasive in their arguments. Their vigor and enthusiasm can become contagious, allowing them to ignite multiple starts of various activities often with short timelines and massive dependencies on other resources to reach completion. This is all good until it isn’t… until the directives, the deadlines, the strained resources collide and can’t keep up with dynamic expectations. Sadly, some “off to a flying start” folks become nearly addicted to the need for new efforts, more activities, fast answers and quick solutions. They mistake the collision course they are on for poor performance within their own team. These folks begin to micromanage, become frustrated by obstacles, and are borderline tantrum-oriented when not seeing the results they expected in the timeframe desired. Often, they lack the ability to recognize themselves as a primary contributor to the chaos; this is largely due to busying themselves in trying to fix the chaos. What a crazy cycle! Leaders with the insight, maturity and discipline to recognize this characteristic in themselves have the duty to apply their skills in a way that leverages the asset rather than makes it a liability. Getting “off to a flying start” should be a winning strategy that leverages advantages. Those gifted with the vigor and enthusiasm to ignite initiatives must have the insight to know where their skill ends and what resources can fill in the gaps. It amazes me how many managers I come across that act like they know “everything” when they clearly do not. Enthusiasm for their own ideas, without discipline and insight, risks not learning and not growing as a business leader. Adopting the values of patience and compassion lead to the disciplines of emotional intelligence (EI): Self-assessment (How have I contributed to this mess?) and self-regulation (What must I do to change the trajectory?). I think we all recognize that adopting these disciplines of emotional intelligence result in improved insight, decision-making and emotional maturity. Conducting a values inventory also means acknowledging those characteristics that are weaknesses and the things we must learn to move away from—self-righteousness, snobbery, intolerance and superiority—in order to grow and mature as leaders. Identifying and addressing weaknesses absolutely requires emotional intelligence. EI as a discipline serves leaders of dynamic contact centers brilliantly; it allows the best of “off to a flying start” attributes to be applied to a disciplined approach to management. Don’t get me wrong. I believe that there are times when someone enthusiastic about the customer experience, the company or the position can ultimately become a wonderful leader in the contact center. The rarity of success is based on the individual’s ability to acknowledge what they don’t know, rely on those that do know, and empower themselves to become educated. Immature leaders carry a false sense that they “should” know, believe they “must” know, and rather than “ask,” they carry on with losing strategies. In my experience, those that are truly successful combine the “flying start” characteristics of vigor and enthusiasm with the disciplines of emotional intelligence.